I wonder how such a small piece on earth was able to make us dream of it in such a short time. 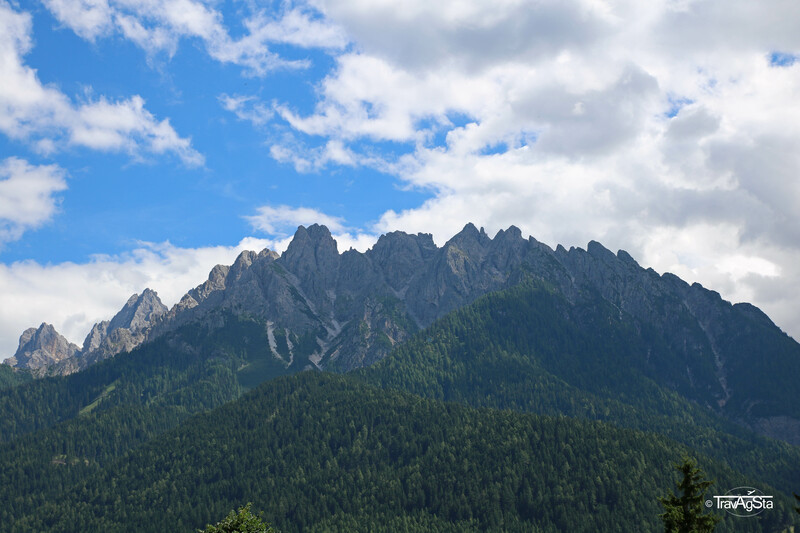 On our way back from Slovenia to Germany, we made a little detour to South Tyrol to explore a few of the region’s highlights. 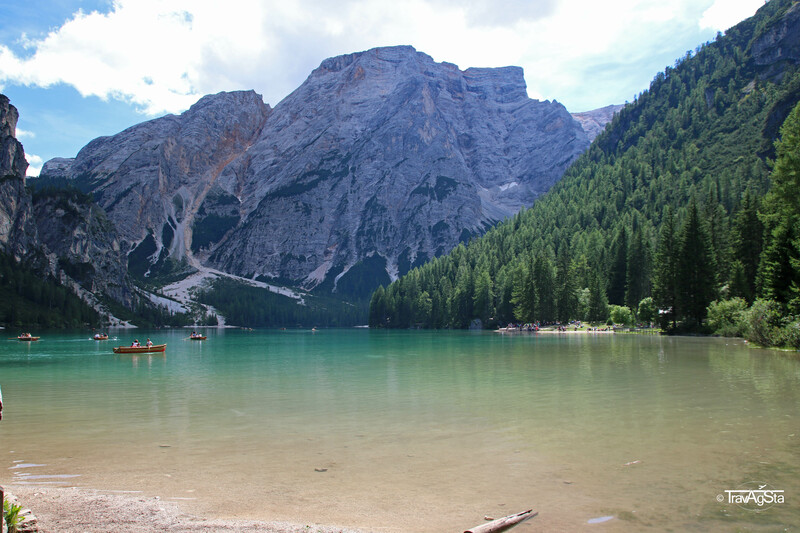 We saw the Tre Cime di Lavaredo (Three peaks of Lavaredo), Lago di Braies, Meran and Lake Reschen. You wonder how this is possible in such a short time. Well, South Tyrol is a small region and distances aren’t too far. Italy’s northern most part is awesome in any kind of way. The landscapes and the food are awesome. We had such good food here, I still can’t believe it. No need to tell you about the excellent wines here. 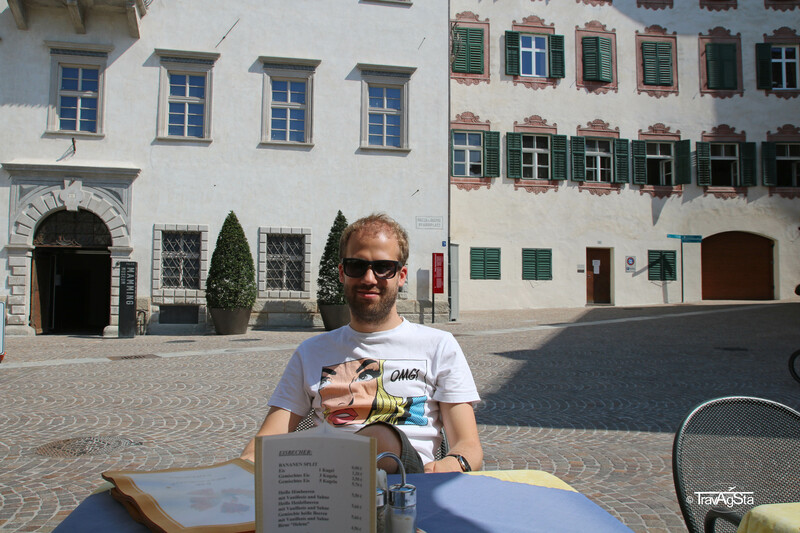 If you want to eat and sleep well, you should stay at Gasthof zum Weißen Kreuz (White cross hotel/restaurant). The hotel is a family-run business in Latzfons with clean rooms and an amazing view. The breakfast is great. 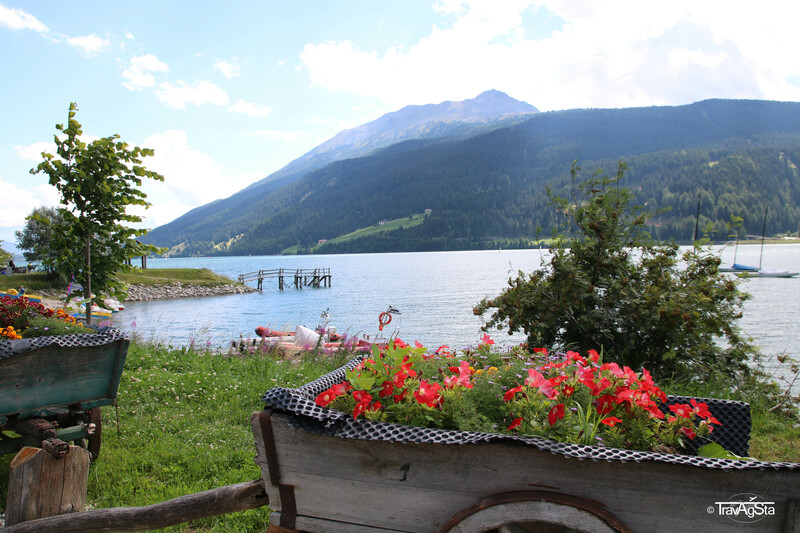 In the evenings the Gasthof (restaurant) of the hotel offers delicious dishes and local wine. Local dinosaurs come here and amuse you with their dialects for free. 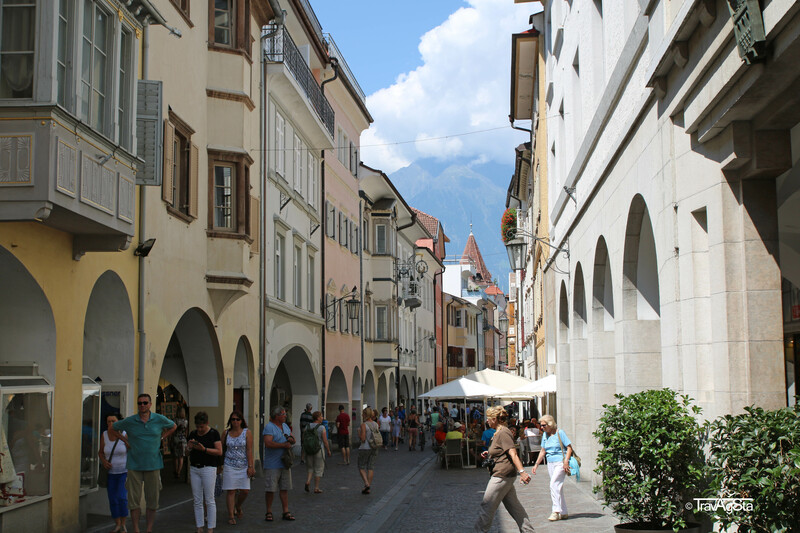 We have a lot of sympathy for South Tyrolean, they’re friendly and pleasant. We totally recommend this hotel! 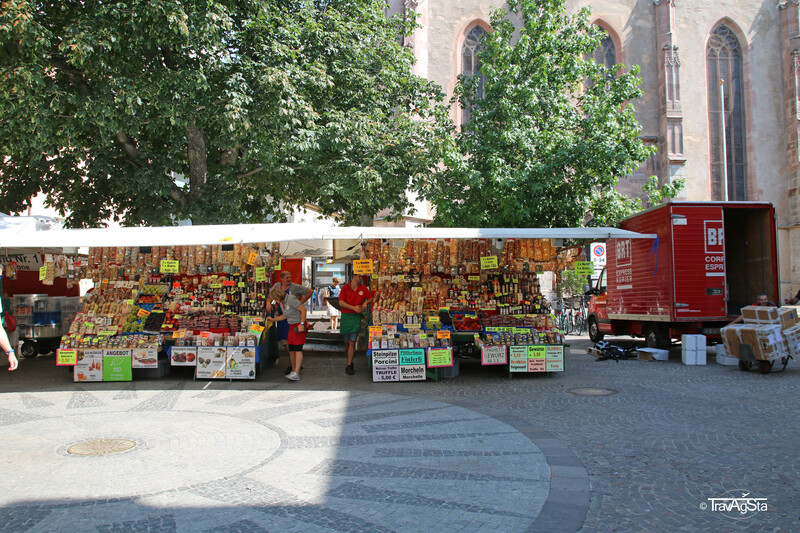 No matter what you think about it – we love places where people believe in myths. We loved it already in Iceland and we won’t stop with this in South Tyrol. For example the Saga of King Laurin. W’re really thankful, he forgot the dawn. Otherwise we couldn’t have enjoyed such a beautiful view. 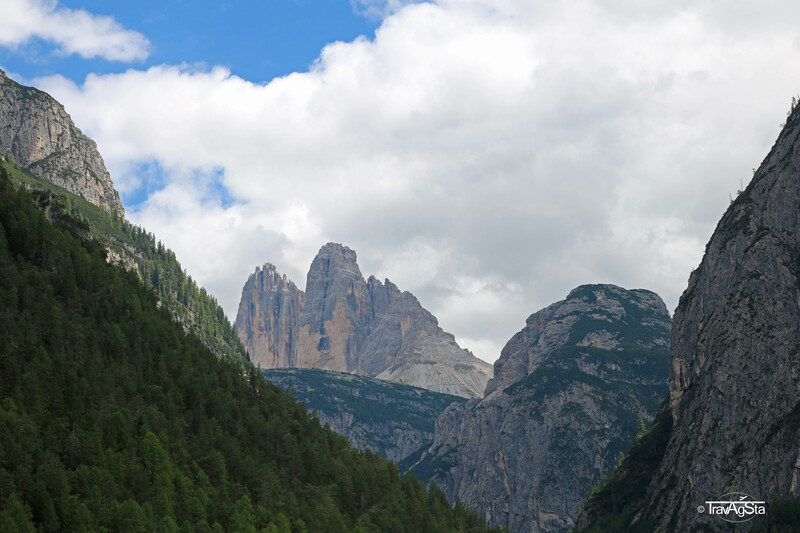 The ‘Tre Cime di Lavaredo’ is the most photographed motive of the Dolomites. 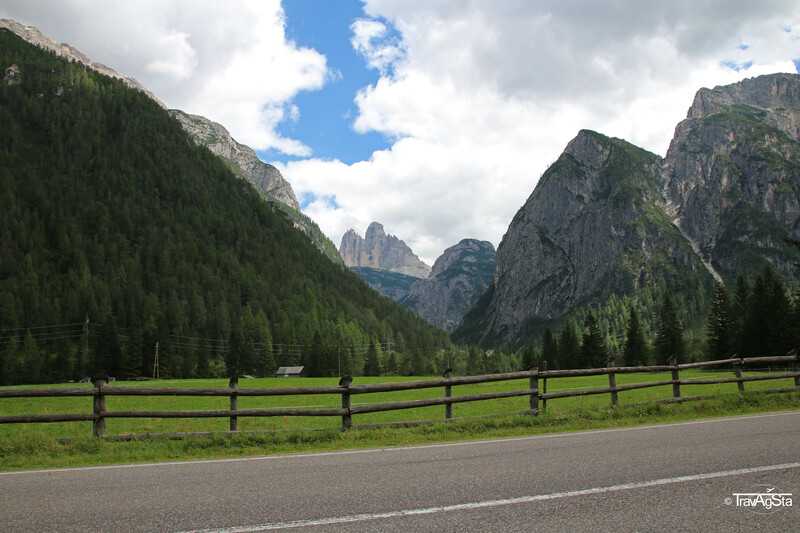 It’s part of the Sexten Dolomites and really popular. For this reason, we didn’t hike up there. Toll fee to get up there is expensive – and the effort wouldn’t be worth to find ourselves in an overcrowded place. The Dolomites are really crowded in August. Instead we enjoyed the view from the distance and are quite ok with that. 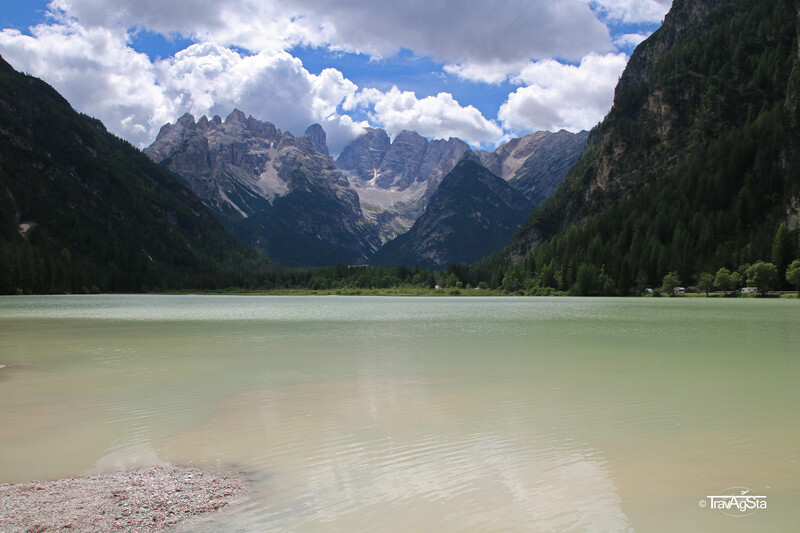 What was more impressive to us was the view of the Dolomites with Lago di Landro in front of it. 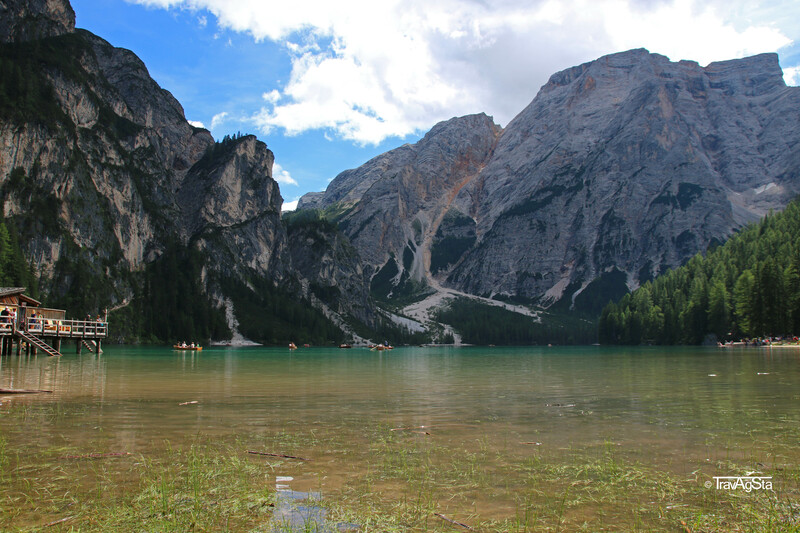 The lake is part of the National Park Tre Cime di Lavaredo and offers a great view at Monte Cristallo. 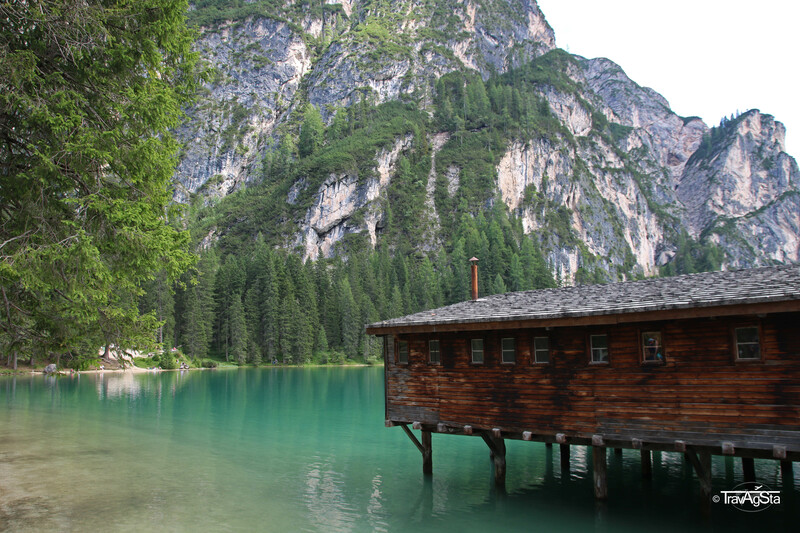 In our opinion it’s as amazing as the ‘Tre Cime di Lavaredo’. 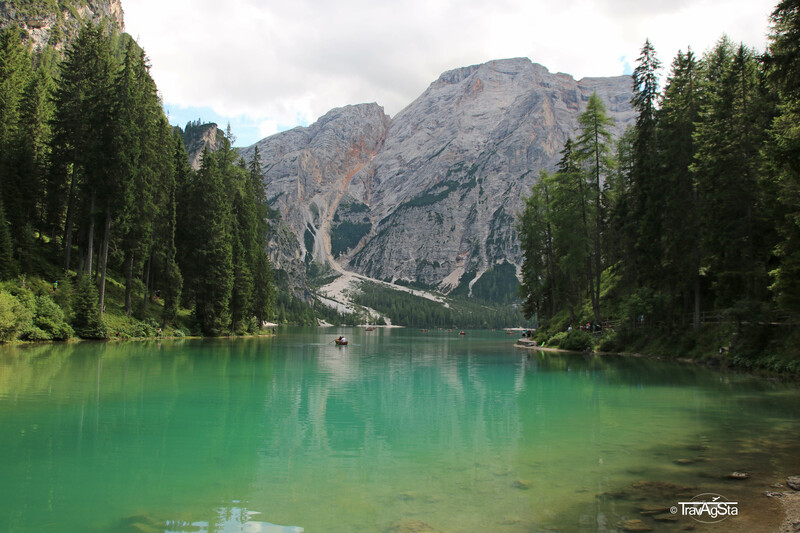 The Lago di Braies is one of the most beautiful and popular lakes in South Tyrol. I had spotted this lake at Instagram many times before. 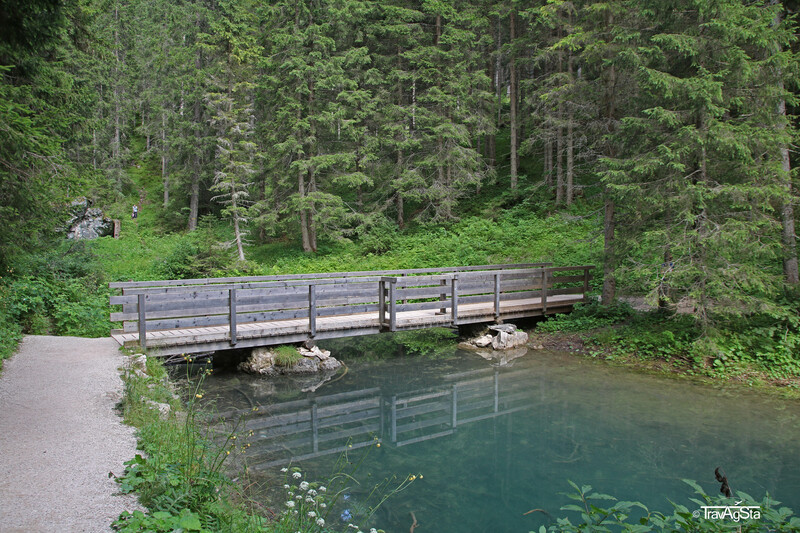 But August doesn’t seem to be a good month if you’re searching for tranquillity in South Tyrol. It was so overcrowded here, it was insane. Despite of that the lake has an amazing colour. The Pragser Dolomites are mighty and surreal. It’s definitely worth the visit, though maybe not so much in August. But for all the crowds it’s still a calm place the moment you veer away from the boat rental. The area is large and here and there we had a few minutes on our own. 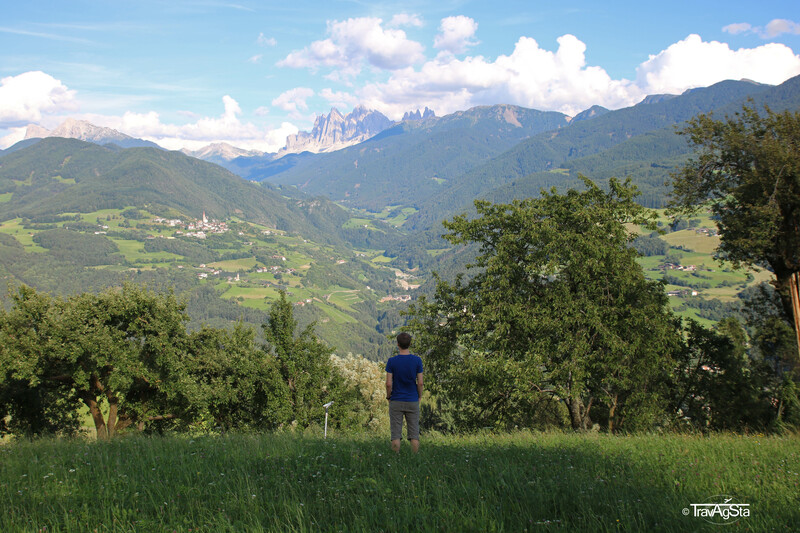 There’s not much to say about this other than having the most fabulous view of the Dolomites from this cute village in the heart of South Tyrol. If you’re nearby, you definitely have to make a stop here. 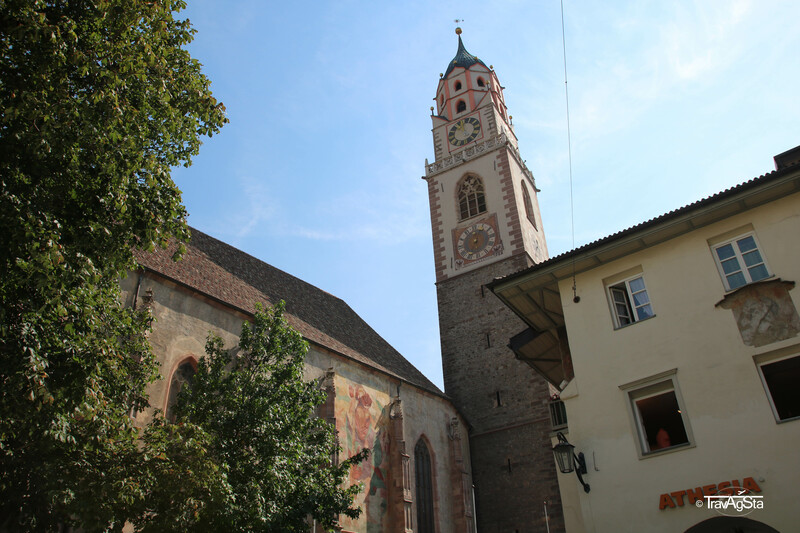 No, we didn’t choose Bozen, we wanted to see the beautiful city of Meran. It’s a tiny city with a cute Old Town. We spent around two hours here and would have loved to stay longer. But it was way too hot. We managed it nevertheless to explore a little bit of the city. Thanks to the heat, there were only few people with the same idea. 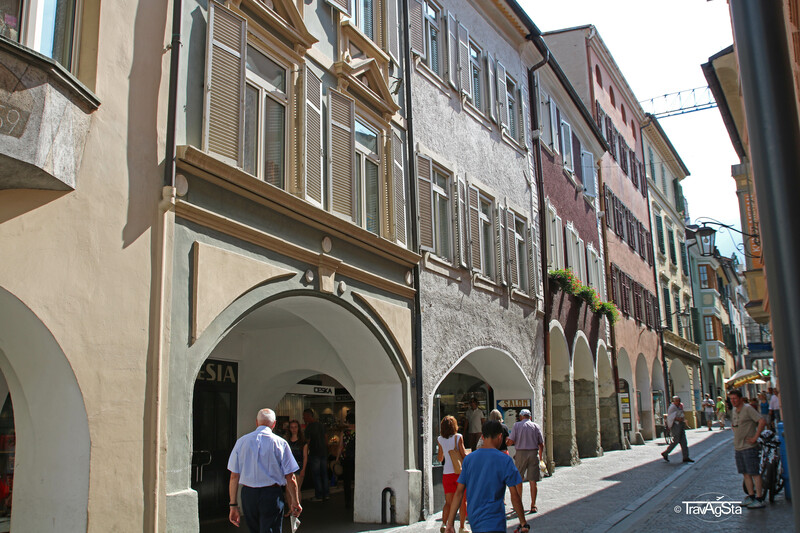 The Old Town of Meran is well preserved and has three city gates. We walked through the long Laubengasse and you better do this with a gelato. 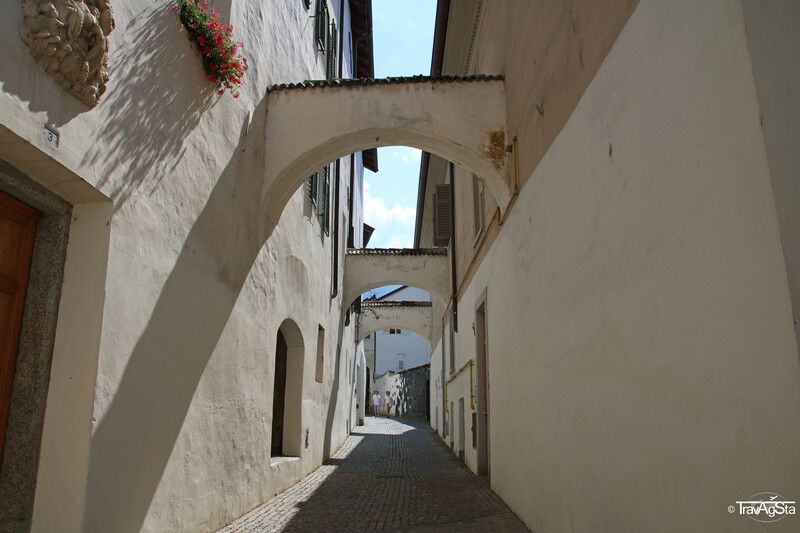 This street leads to the Piazza del Duomo with the St. Nikolaus Church, where we made a coffee break. From here we continued our way along the Passeirer Gasse by Via Monte S. Zeno until we reached the Steinerner Steg (Stone bridge). 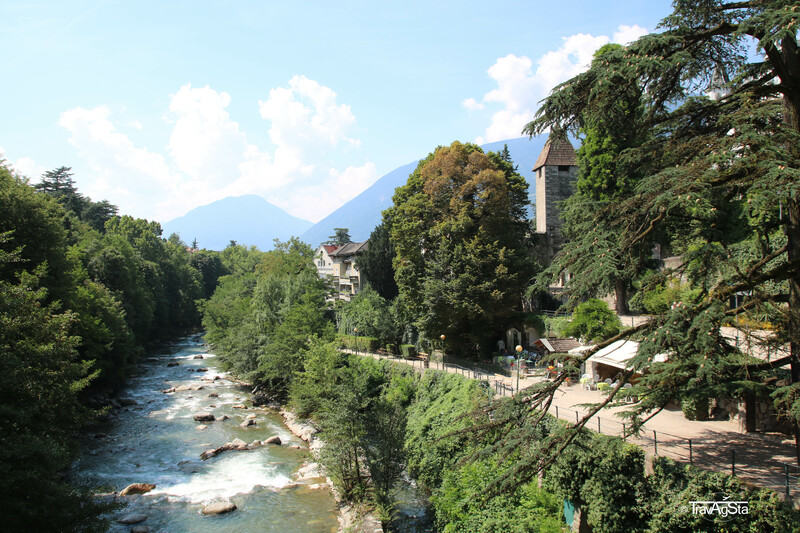 This bridge standing over the river Passer offers a great view over the city’s villas. Then we returned to the Piazza del Duomo and walked along the Leonardo-da-Vinci-street to see the Bozner Gate, one of the three city gates. 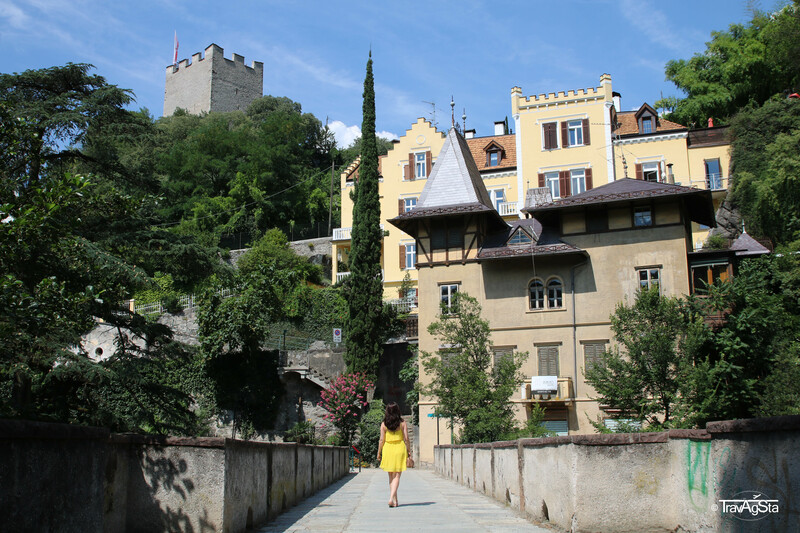 Our stay was short but someday, for example on a beautiful day in May, we will return and we’ll combine Meran with a visit of beautiful Trautmanns Castle. The queue was very long and we could see from far away that it was overcrowded. Why in May? This is the time of the year were the gardens blossom at its best. And for this, we would love to queue. 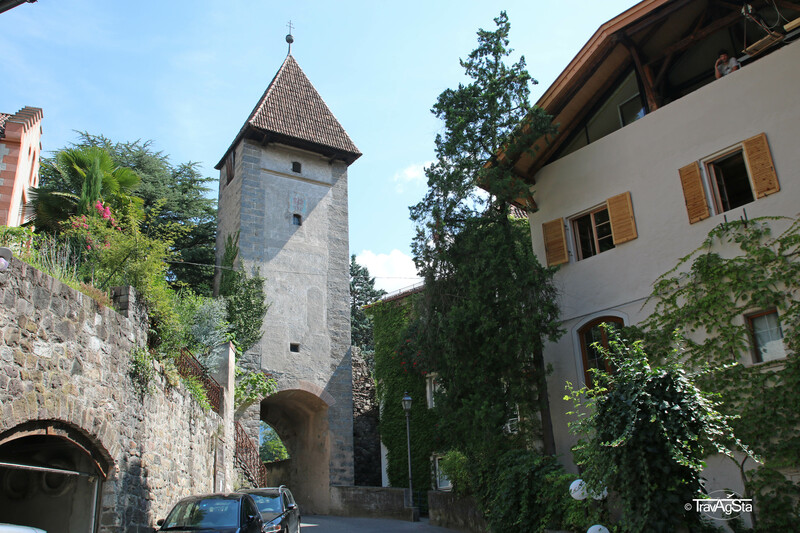 If you have the time, you can walk the Sisi-Way, which starts somewhere in the Old Twon and leads to Traumtmanns Castle. It’s said that Empress Sisi is supposed to have spent her best days here. 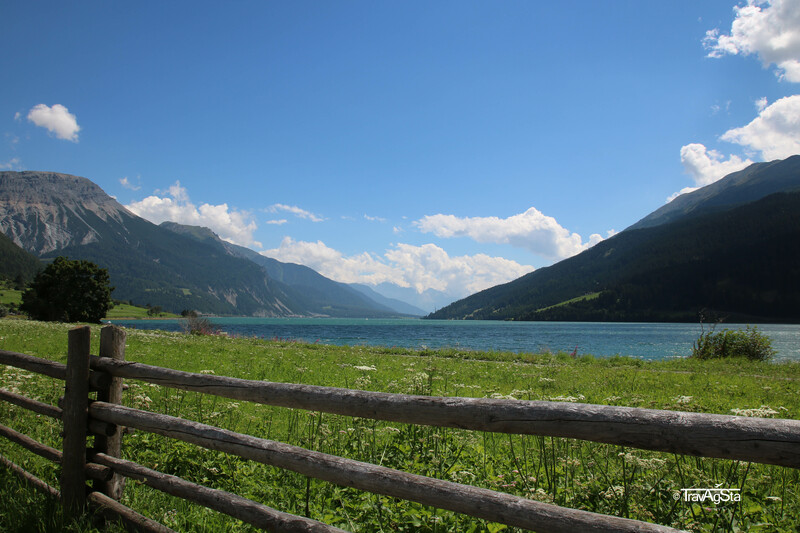 Lake Reschen is a beautiful barrier lake close to the Austrian border and on our way back home. 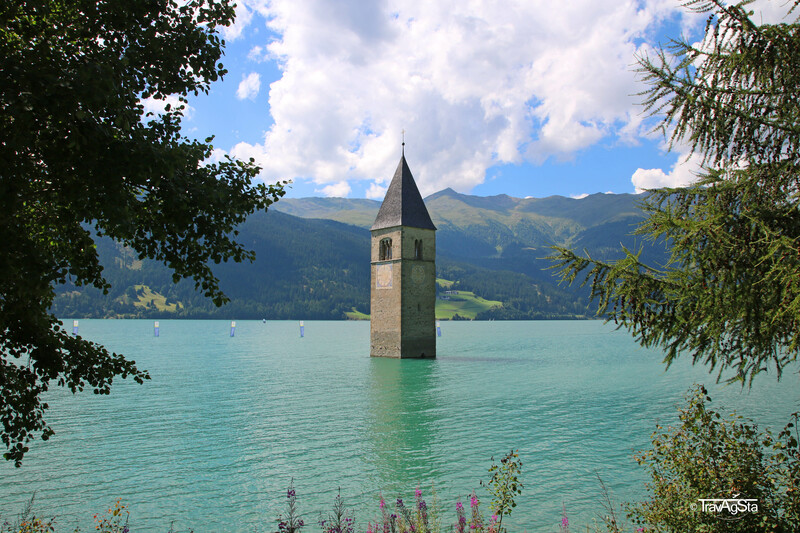 It’s famous for the bell tower looking out of the lake. It looks surreal. When the lake freezes, you can reach it by foot. Lake Reschen is definitely worth a photo stop. If you want, people love to go swimming here, too. 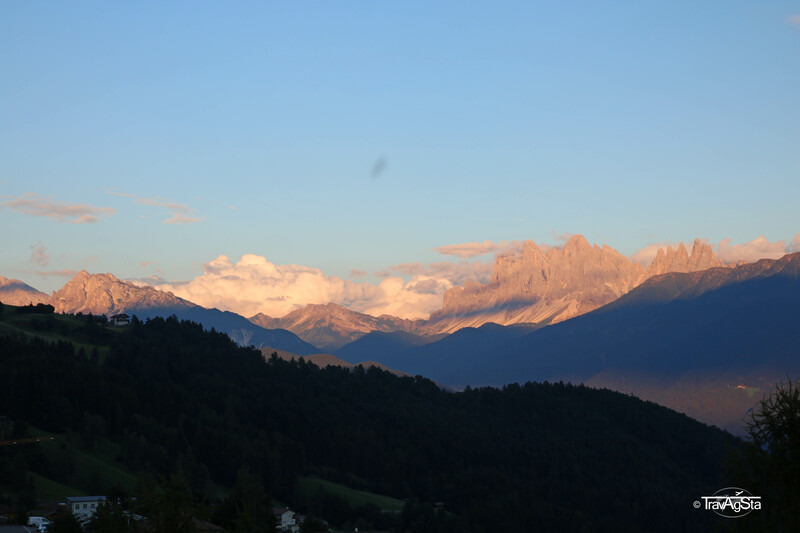 Have you been to South Tyrol before? What did you like most? 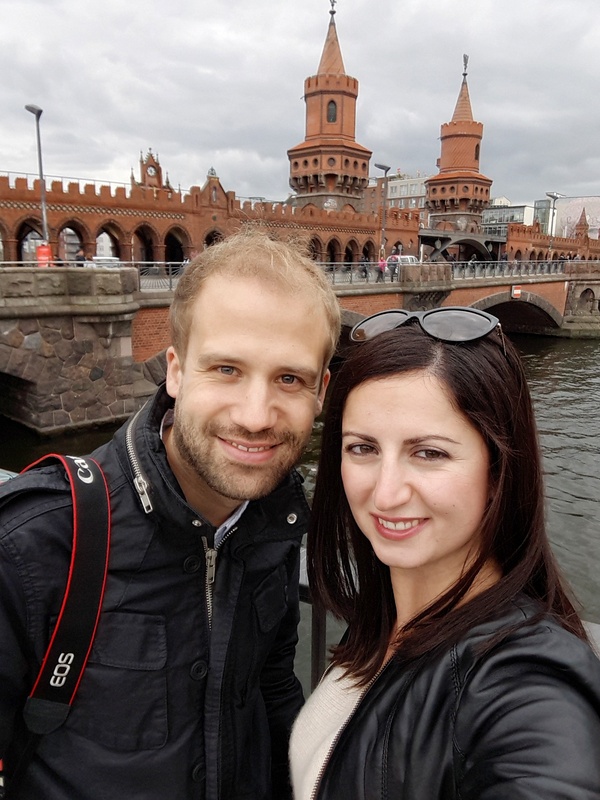 For our next trip, recommendations are welcome! 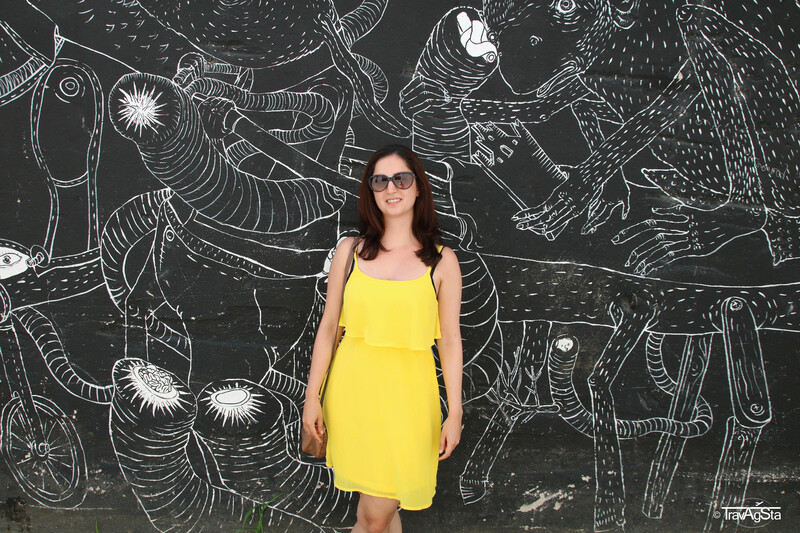 Stopover in Singapore – Perfect for the first impression!